Since 1986, Association Reserves has completed more than 40,000 reserve studies and is widely regarded as an industry leader. Our mission is to bring insight and order to a distracted and cluttered world so our clients can cost-effectively make wise decisions about the care of their properties. We rely on a combination of experience, attention to detail, and state-of-the-art tools and technology to ensure that our clients are informed regarding the state of their physical and financial assets. We also provide our clients with complimentary software and video presentations, and we routinely publish webinars, articles, and other content to help our clients better understand the role of a reserve study in running a successful community association. For more information on Association Reserves, call (800) 403-9011 or visit www.reservestudy.com. Just as your association expects you to pay close attention to the details, resolve problems efficiently and effectively, and anticipate future needs, that is exactly what you can expect from the bankers at IBERIABANK. 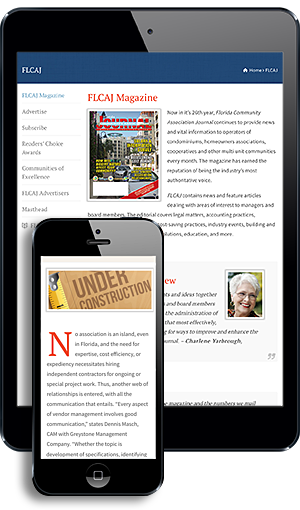 We are honored that our clients voted us as the FLCAJ Readers’ Choice Platinum Award winner. We earned their respect by routinely showing our extensive knowledge of condominium/homeowners association management needs. We offer a variety of services, including a Florida-based lockbox, loans for property improvements, and a variety of deposit options. 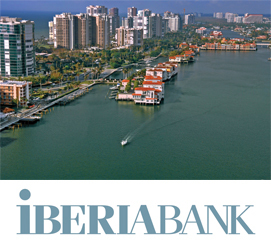 Whether you are located along the Gulf Coast, in South Florida, Greater Orlando, Tampa Bay, Jacksonville, or the Florida Keys, you’ll find an experienced IBERIABANK team member ready to help with your association needs. For more information on IBERIABANK, visit www.iberiabank.com. Member FDIC. Equal Housing Lender. Friends of Bats is a family-owned and operated Florida business focused exclusively on delivering safe and humane people- and bat-friendly solutions to bat issues throughout Florida. Bat removal, prevention, and education is our only business. Over the past 15 years, the business has provided exclusion services for thousands of satisfied customers. Friends of Bats specializes in working with associations and on multi-unit, high rises, commercial buildings, bridges, and single-family homes. We are fully insured and all work is guaranteed. 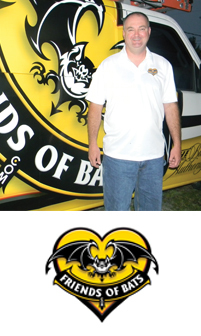 For more information on Friends of Bats, please call Dan, John, or David at (888) 758-2287 or visit www.friendsofbats.com. 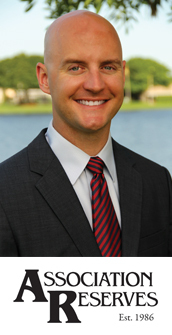 Paul Kaplan and Robert White founded KW Property Management and Consulting in 2004, which has rapidly become an industry leader of 1,100 employees in seven offices across Florida, New York, and the Bahamas. From upscale high-rises to stately HOAs, we take pride in the properties we serve for more than 65,000 owners. The competence of our team sets us apart. Eight in-house CPAs drive the accuracy of our accounting and systems for our properties to run smoothly and on budget, avoiding the costly obstacles that plague the association industry. Our customizable software enables us to record and analyze all areas of operations, ensuring accurate and comprehensive record keeping for each of our clients. 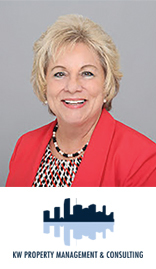 For more information on KW Property Management and Consulting, call Jane Bracken, Director of Business Development, (954) 826-8515, or visit www.kwpmc.com.